The situation in the combat zone. Russia-backed militants continue using the Minsk-proscribed weapons, including 82-mm and 120-mm mortars, 122-mm and 152-mm artillery, and antitank missile systems. 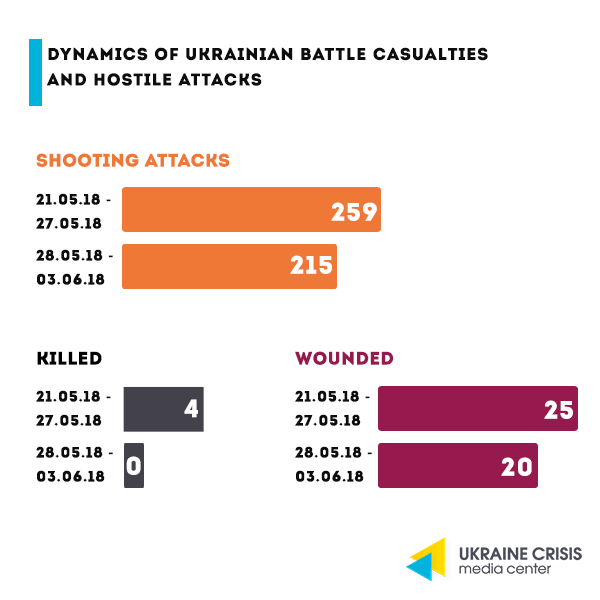 Regular heavy machine gun attacks keep derailing the disengagement of forces planned for the Stanytsia Luhanska area. On May 18, a hostile attack involving an SPG-9 antitank grenade launcher damaged a civilian house in Chermalyk. On May 31, militants shelled the populated area of Chermalyk with 122-mm artillery and 82-mm and 120-mm mortars having made a total of 30 shots. The attack came from the occupied Tavrychyske village. The explosion of an 82-mm mortar round damaged the façade of a residential house and the adjacent land plot. Luckily, no civilian casualties were recorded. Civilian casualties. 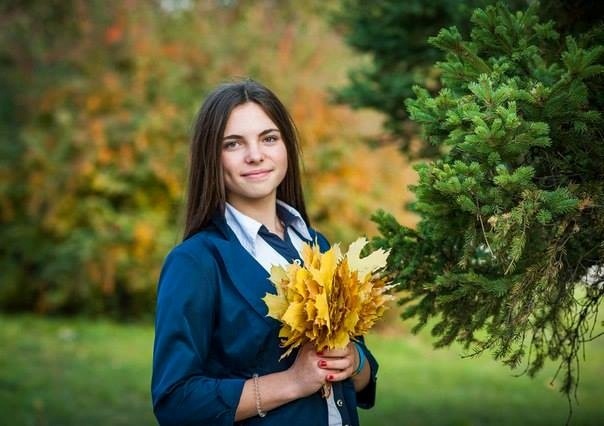 On May 30 people in Toretsk, Donetsk region, paid their last respects to 15-year-old Daria Kazemyrova killed in a militants’ attack in Zalizne town outside Toretsk. The girl was fatally wounded by an explosion of a shell in the courtyard of her house. She was a 9th-grade student at the School no.7. Just three days before she was killed Daria celebrated her birthday. The town was attacked by the “DPR” militants. Ukrainian military intelligence intercepted a phone call in which the militants discuss the incident. On June 3, Russia-backed militants shelled the civilian infrastructure of Talakivka with 152-mm artillery. Thankfully, there were no casualties. The information as to the damages is being clarified. The diplomatic front: the visit of the German Minister of Foreign Affairs to Donbas. On May 31-June 1, the Foreign Affairs Minister of Germany Heiko Maas made a working visit to Ukraine. Minister Maas and the Ukrainian Foreign Affairs Minister Pavlo Klimkin visited the Joint Forces Operation zone and went to the contact line to familiarize themselves with the situation in eastern Ukraine. They also discussed the deployment of the UN peacekeeping mission across the entire occupied territory of Donbas. 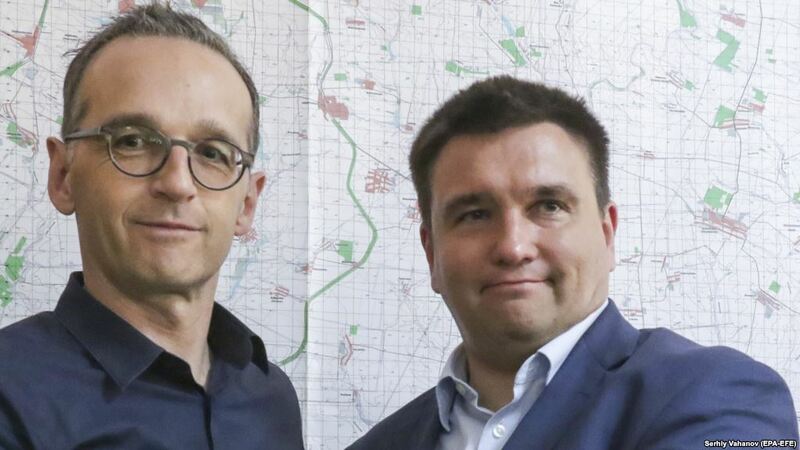 Moreover, at the press conference in Mariupol Heiko Maas announced the negotiations between the foreign affairs ministers of the Normandy Four to be held in Berlin on June 11. As of June 4, Oleg Sentsov has been on hunger strike for 22 days. He demands that all the 64 Ukrainians – Kremlin’s prisoners held captive in Russia – are released. On May 28, Sentsov agreed to a supporting therapy. In the meantime, rallies in his support are taking place all across the world. Rallies in Ukraine and abroad. On June 2, a rally took place in Kyiv at the Maidan Nezalezhnosti square in support of the film director Oleg Sentsov who went on the indefinite hunger strike on May 14. Almost five hundred participants demanded to take immediate action to save the life of the Ukrainian film director, recognized prisoner of conscience by Amnesty International, as well as make each and every effort to free all the Ukrainian citizens jailed on political motives and illegally held in Russia and in the occupied Crimea. 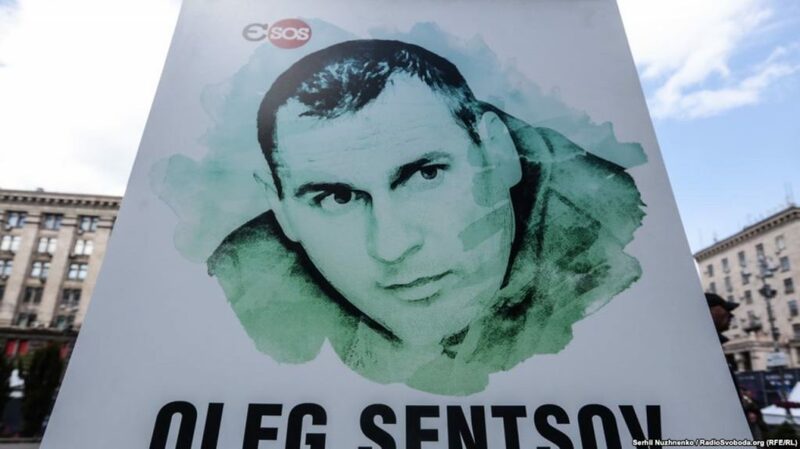 On June 1-2, 42 cities outside Ukraine, including 21 capitals, joined the international campaign in support of Oleg Sentsov dubbed “Save Oleg Sentsov”. In Ukraine, 29 cities took part in the campaign. The rallies in support of Sentsov took place in Australia, the US, Germany, Georgia, Israel, France, the United Arab Emirates, Kuwait, Canada, Portugal, Great Britain, Greece, Austria, the Czech Republic, Sweden, Switzerland, Estonia, Lithuania, Latvia, Italy, and Belgium. One-person rallies took place in Russia’s Saint Petersburg, Moscow, and Kazan. Kolchenko goes on hunger strike. On May 31, Kremlin’s prisoner Oleksandr Kolchenko started a hunger strike demanding that Oleg Sentsov is liberated. Mothers of Oleg Sentsov and Oleksandr Kolchenko met for the first time in four years since their sons were jailed. The mothers addressed the Ukrainian President Petro Poroshenko asking to help free the prisoners of conscience as soon as possible. Oleksandr Kolchenko’s mother revealed that she had been threatened by phone by the Russian side, namely by the representative of the civic supervision committee in Chelyabinsk region of the Russian Federation Vasiliy Katane. “On June 1, I got a phone call from a man who introduced himself as a member of the civic supervision committee in Chelyabinsk region. He demanded that I would convince Oleksandr to stop his hunger strike and asked not to meet the lawyer,” Kolchenko’s mother told Hromadske Radio. The Babchenko Case: is “the list of 47” real and who’s on it? New details appeared in the Babchenko case that was the top news last week and that UCMC covered as well (“The Price of Facts: The Babchenko Case”). Statements by the Office of the Prosecutor General. Yuriy Lutsenko, the Prosecutor General of Ukraine, said that while investigating the attempt on the life of the journalist Arkadiy Babchenko, the prosecution received important evidence as to the ties of the detained organizer with the Russian secret service as well as more accurate information on the future goals. “Resulting from these operational actions the prosecution got a list of 47 persons who could possibly become the terrorists’ next victims, mostly prominent Ukrainian and ex-Russian journalists. They have been notified of the danger, their security is being organized.” Lutsenko added that Ukraine’s Security Service received the list of the 47 potential victims from the allies of Borys Herman suspected in the organization of Babchenko’s “murder”. What the “organizer” Herman is saying. Borys Herman, charged with organizing a terrorist attack resulting in the attempted murder of Arkadiy Babchenko, does not give any concrete names as to who ordered the terrorist attacks in Ukraine. At the same time, he named the hiring party in the Russian Federation, it’s Vyacheslav Pyvovarnyk. Borys Herman claims Pyvovarnyk is the person in “Putin’s private fund” responsible for the unrest in Ukraine. Pyvovarnyk and Herman co-own the “Kyivska Consaltynhova Hrupa” (Kyiv Consulting Group) LLC. According to the State Registry, Pyvovarnyk and Herman own 11 percent of the company’s shares each. Herman says Pyvovarnyk currently resides in Moscow, while the State Registry he is mentioned as co-owner, and in some cases as director, of a series of other Ukrainian companies. 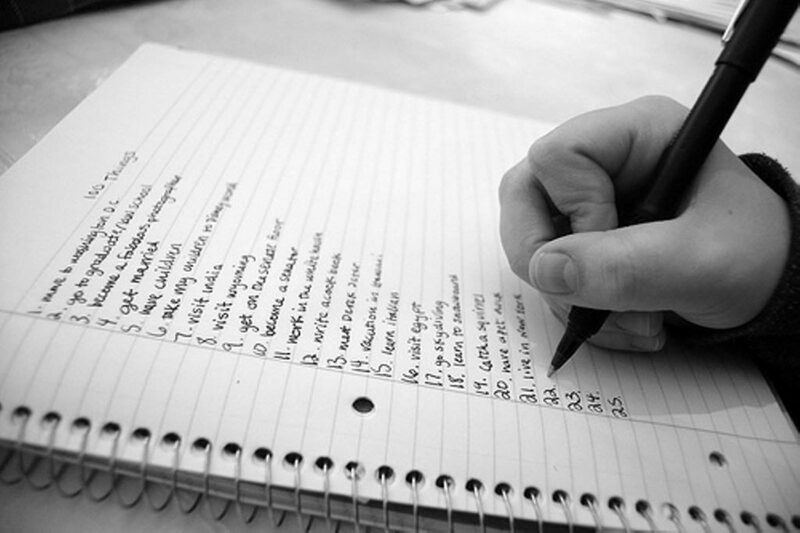 “The list of 47”: what is known so far. Some Ukrainian journalists report that they were invited by the Ukrainian Security Service for a meeting. At the meeting in question, SBU allegedly announced the people on the list. Journalist Serhiy Hryshyn said he was at the meeting with heads of law enforcement agencies at the premises of the Security Service of Ukraine, while the founder of the Zaborona.com project Yekaterina Sergatskova said she was invited but could not attend. Sonia Koshkina, editor-in-chief of LB.ua, confirmed that she is on the list of potential victims. Ukraine’s Security Service met some of the people on the list. It became known that TV hosts Matvey Ganapolskyi and Yevgeniy Kiselev went to the meeting. The media also report that more journalists were invited by Ukraine’s Security Service including executive producer of the “UA:Krym” (UA:Crimea) TV channel Osman Pashayev, editor-in-chief of “Zerkalo Nedeli” (Mirror of the Week) Yulia Mostova, Deputy Director General of ATR TV channel Aider Muzhdabayev, political correspondent Vitaliy Portnikov, TV host at “UA:Pershyi” (UA:First) Yuriy Makarov, correspondent at the “Krym.Realii” (Crimea.Realities) Pavlo Kazarin, and TV host at ZIK TV channel Tatiana Danylenko. According to the results of the opinion poll conducted by the Ilko Kucheriv Democratic Initiatives Foundation, only five percent of the interviewed Ukrainians are ready to entrust the setup of the Anti-corruption Court to the representatives of the President Petro Poroshenko. 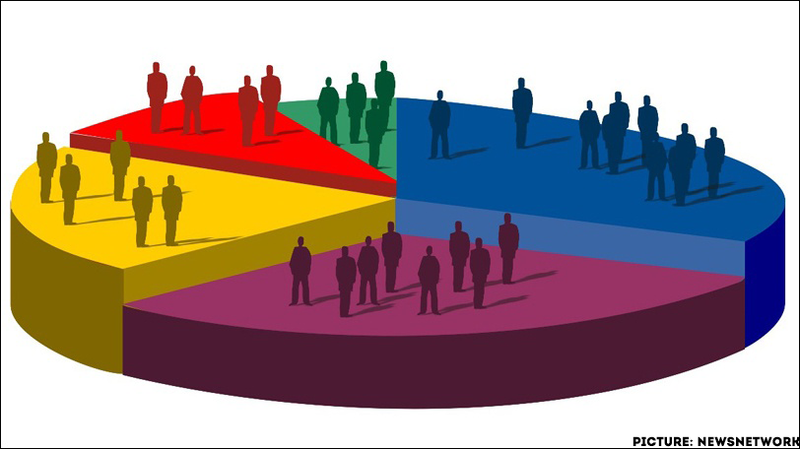 As per the poll, representatives of anti-corruption NGOs and experts from Western countries enjoy the highest trust – 47 and 38 percent respectively. The share of those ready to entrust it to the MPs or judges from the self-governance judiciary bodies is much smaller – 13 and nine percent respectively. Moreover, the overwhelming majority of Ukrainians (83 percent) consider the fight against corruption in Ukraine unsuccessful, while 50 percent said it has “almost failed”. Winners. Kyiv has hosted the 47th Kyiv International Film Festival “Molodist”, one of the biggest film festivals in eastern Europe. Twenty-two Ukrainian shorts competed in the national competition. The winner is the “Weightlifter” (“Shtanhist”) film by Dmytro Sukholytkyi-Sobchuk co-produced with Poland. “It is a story of a young athlete who wants to win in the competition at any cost,” Ukrainian film critic Ihor Hrabovskyi wrote about the film. The jury’s special mention went to the “Unavailable” (Poza Zonoyu) film by Nikon Romanchenko and to the “The Wonderful Years” (Shchaslyvi Roky) film by Svitlana Shymko and Halyna Yarmanova, trailer. “In “Unavailable” the female worker at the Ternopil-based confectionery plant is worried as she’s getting no news from her son who’s at war. 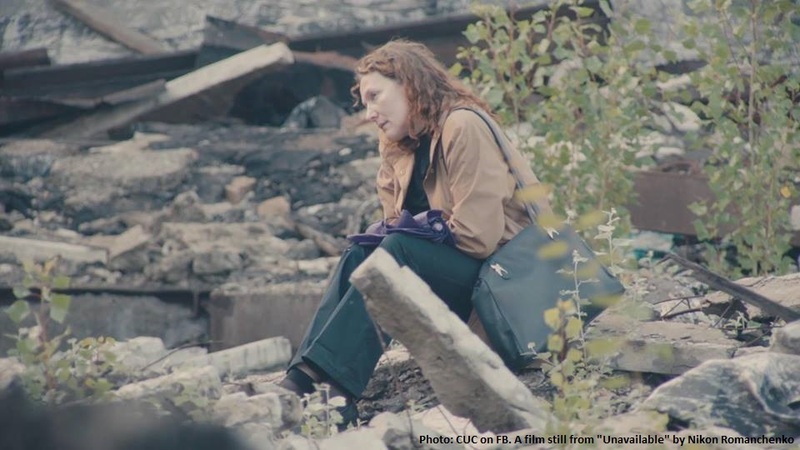 She starts a long journey, we see contemporary Ukraine with the eyes of the woman,” the film critic writes. The film directors of “The Wonderful Years” worked with the archive materials of the Lviv-based Center for Urban History of East Central Europe to tell the story of the women from the LGBTQ community in the Soviet times. “The film combines in a paradoxical manner the Soviet film footage depicting daily routines and family life with the confession of a woman who refused to accept the rules,” Hrabovskyi writes. National competition reflects contemporary Ukrainian cinema. According to Viktor Hłoń, Molodist program coordinator who programmed the national competition, the number of applications for the current edition of the festival increased. “There were about 150 submissions in almost half a year. They are almost as many as the number of applications submitted throughout the entire 2017,” the program coordinator said. “Ukrainian cinema is still searching – for its audience, form, language, and style,” Hłoń continues. The full list and the short description of the films that were part of the national competition are available at the link.